Jesus is the creative, light-giving, life-giving Word that brought all things into being. He is the Creator along with the other two persons of the Godhead. “In the beginning was the Word, and the Word was with God, and the Word was God. He was with God in the beginning. Through Him all things were made, without Him nothing was made that has been made.” John 1:1-3 God, the Word/Jesus and the Holy Spirit were always connected as One in love, will, purpose,, truth and grace, and will be eternally. They are One in heart, mind, spirit and truth. The Godhead was involved in the original creation, and is involved in the “new creation” in Christ. The Bible begins with God, the Word and the Holy Spirit. In Genesis 1: 1-3, we have God, the Spirit hovering and then God spoke His Word. The voice of God was the Eternal Word of God/Jesus. Our voice is always with us from the day we are born until the day we die. The Word (Jesus) was always with God before anything was created and will be with God for all eternity. The Word will never die! It has the same quality, essence, being and heart as God. In Jesus the Word, God is perfectly revealed in mind, heart and being. He is all that God is and will always be. Jesus will always be the voice of God. He is called the Word of God in the beginning and in the end. Revelation 19:13: He is dressed in a robe dipped in blood, and His Name is the Word of God. So, Jesus is the Word of God from beginning to end – the voice of God. All Truth leads to Jesus because He is Truth. When you see that the Word of God came or spoke in the Older Testament, it is Jesus speaking or appearing. 1. Man in the fullness of life – without sin – as God intended for Man in the beginning. 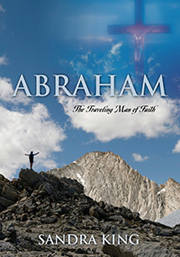 Adam was lovingly shaped and formed into a perfect man when the Godhead created him. What the perfect God creates is perfect! Adam was without sin and clothed in God's glory and Light (Jesus). God wants us to be fully human by reshaping and reforming us back to the original condition of the first Man/Adam before sin entered. Because all things were created in the beginning through Jesus as the Word, God and the Holy Spirit, all things must be recreated through Jesus, the Living and Anointed Word, God and the Holy Spirit. God's ways don't change! “I am the Lord; I change not.” Malachi 3:6 And Jesus “is the same yesterday, today and forever.” Jesus doesn't change either. He took on the flesh of man, but His Divinity, character and power did not change. 2. God in His fullness – so we could know Him as He truly is in all of His love, beauty, goodness, light, glory, and power, as well as His justice. Jesus is the full and final revelation of God to mankind. Hebrews 1:1-3: In the past God spoke to our forefathers through the prophets at many times and in various ways, but in these last days, he has spoken to us by His Son, whom He appointed heir of all things, and through whom He made the universe. The Son is the radiance (light) of God's glory and the exact representation of His being, sustaining all things by His powerful Word. It was through the Word that God created all things. “Through Him all things were created; and without Him nothing was created that was created.” John 1:3 The Word was not one of the created things. It existed before anything was created. The Word is Eternal just like God and the Holy Spirit, and these three are One. It is the Word anointed that will recreate humans--both the Living Word Jesus and the written Word that is all about Him. The written Word of God and the Living Word of God are powerful because Jesus who is the Word is all-powerful, and the Holy Spirit who wrote the scriptures through humans is all-powerful. The Word is charged with power! The Word of God coming forth out of the mouths of His followers has the power to change things and bring spiritual life. Isaiah 55:10-11: As the rain and snow come down from heaven, and do not return to it without watering the earth and making it bud and flourish, so that it yields seed for the sower and bread for the eater, so is My Word that goes out from My mouth. It will not return to Me empty, but will accomplish what I desire and achieve the purpose for which I sent it.” God's Word has power! It is more than just a sound. It changes people and circumstances. God used the blowing of shofars and trumpets in the Older Testament to illustrate a spiritual reality and truth. The power of the blown Word of God out into the atmosphere by the wind of the Holy Spirit changes people and circumstances. It also gathers His people together in unity, and is used mightily in spiritual warfare. The shofar of the Older Testament didn't have a voice. It had a sound. The Israelites understood what one blast, two blasts, broken blasts and one long blast meant, but the shofar didn't speak God's Word or will so people could understand God's voice and will. The written Word of God does. Hebrews 4:12: For the Word of God is living and active. Sharper than any double-edged sword, it penetrates even to dividing soul and spirit, joints and marrow; it judges the thoughts and attitudes of the heart. In other words, the powerful Word of God will do spiritual surgery on us! The Word embodies the very essence and character of God and His power. Luke said that when Jesus spoke the people heard the Word of God. (Luke 5:1) Jesus' words were the same as the Father's. As the Word of God has power when it is spoken, our words also have power. They have the power to bless or curse. We are called to be careful with our words. Once spoken, they cannot be taken back. They have already gone out into the atmosphere and are working. In Genesis, Isaac spoke the spiritual blessing over Jacob instead of Esau even though he was tricked into doing so. Isaac could not take the blessing back once he had spoken it. The same is true with our words. God's Word is also comforting and healing. Our words can be comforting and healing if they are soft, loving and encouraging words. Our words can also be cruel and cutting if spoken in anger and cursing. Jesus was, is and will forever be holy and Divine. The fact that Jesus took on flesh and the nature of mankind does not diminish His Divine power and glory. Jesus took on our earthly nature so He could relate to us and we to Him, but He remained holy. In His flesh body, Jesus experienced feelings that humans feel. We can see in scripture that He had compassion, loved, was angered, wept, was tempted, agonized, etc. So, He knew our emotions, but remained sinless and holy. Jesus put on our fleshly nature. Now He wants us to “put on” His Divine nature and dwell in Him and His righteousness. We are called to imitate Jesus' Divine, righteous nature. Obviously, Jesus' actions, words and deeds were teaching lessons as He walked the earth in His earthly body, but the core of His earthly experience and teachings were to reveal the Divine Godhead and to help us put on His and the Father's Divine nature by the power of their Holy Spirit. Jesus revealed divinity in His humanity. He wants us to reveal divinity in our humanity also no matter what nation, tribe or tongue we are from on earth. Jesus is not in heaven at His heavenly Father's side exalting the Jews over the Gentiles or the Gentiles over the Jews. We are all equally guilty and equally loved. Jesus sent the power of His Holy Spirit and Word to help us take on His Divine nature, not His earthly experience. Jesus said, "Be holy, for I am holy." He is watching from heaven where He is clothed in the Divine glory, Light and power of the Father. He is making intercession for us before the Father when we sin. He is our Advocate in heaven against our accuser Satan, and the Holy Spirit is our Advocate on earth teaching and training us in the ways of God and empowering us to defeat Satan and his demonic host. Satan cannot be defeated by the ways of our flesh. He can only be defeated by the ways of God. So the Godhead is working to bring us to their Divine nature. The three persons of the Godhead act together as one in our hearts when we willingly let them. The Holy Spirit flows from the Father and the Son from heaven to earth to teach us and empower us to walk in the Divine truth, love, glory and light of the Father and the Son. This earth is temporary. The Godhead doesn't want us to put on the temporary. We already have that in our earthly nature and body. The Godhead wants us to get rid of our sinful, fleshly nature and put on the Eternal Divine nature. It is the Godhead's desire that we become our highest self through putting on Jesus Christ and His righteousness. This of course will not be done completely until we are transformed into our spiritual, glorious body. We must be careful not to judge or condemn ourselves when we fail to live up to God's holy standards. God's agape love understands the weakness of flesh thanks to Jesus taking on our flesh with all its temptations. God also knows the power of His and our enemy satan. Satan is a spiritual being who never had flesh. The only way he can operate on earth is through the flesh of mankind. So God wants to teach us and empower us to walk in His ways in order to defeat the devil. God did not create satan. God created Lucifer who was an archangel in the throne room of God. Lucifer was perfect in every way when God created him. God used the king of Tyre to paint the picture of Lucifer who became satan in Ezekiel 28:11-19. Satan created satan by rebelling against God and wanting to be God. This happened in the spiritual realm long before man was created. Jesus said that He saw satan fall like lightning from heaven. (Luke 10:18; Isaiah 14:12) Jesus was there as the Word with the Father and the Holy Spirit. When children are learning a subject, they are taught stage by stage. The teacher doesn't begin with full knowledge of the subject but slowly and progressively opens the subject beginning simply and giving more and more knowledge slowly until the child grows in the knowledge of the subject. Spiritual knowledge is learned the same way--slowly and progressively. God even had the written Word put down in this manner. God began opening the truth of His plan of salvation and redemption through Jesus Christ slowly and progressively. The plan of salvation through Christ is hidden within the Older Testament scriptures. Then Jesus is revealed in His incarnate form in the New Testament. Finally, Jesus is revealed in all His glory in the spiritual realm in Revelation. As we study and the Holy Spirit unveils Truth to us, we slowly grow and mature in the knowledge of Christ and His fullness.